Pacemaker warning signs can alert a pacemaker patient to the potential complications or failure of his cardiac device. Pacemakers are small electronic mechanisms that surgeons implant into the upper chest of some cardiac patients. The devices can monitor a person’s cardiac function and, if necessary, generate an electrical signal that can stabilize an arrhythmia, or abnormal heart rhythm. Pacemaker warning signs can be symptomatic of hardware or software failure or they can signal normal device maintenance. Shortness of breath, cough and chest pain are signs of pneumothorax, or a collapsed lung. This is the type of complication that is normally discovered during pacemaker implantation surgery, but it is possible for a screw from a J-shaped pacemaker to loosen and perforate the right atrial wall. In the March 2005 issue of “Pacing and Clinical Electrophysiology,” Dr. Mohammed Khan reported that although rare, delayed lead perforation has occurred in patients up to 10 months post-surgery. A pacemaker lead is one of the electric wires leading from the pacemaker to the heart. Skin redness, pus or drainage, fever and swelling at the incision site are all signs of infection. Infection can occur several days to several weeks after the pacemaker surgery. Infection is normally treated with antibiotics, but serious infection, such as sepsis, may require the removal and replacement of the pacemaker device. Pacemaker pocket infection can occur in the area where the pacemaker is placed under the skin or near one of the leads. A pocket infection necessitates the removal of all pacemaker hardware. Rarely, in just .1 percent of cases, a pacemaker can migrate from the placement area to other parts of the body. Stomach pain is one of the symptoms of device migration. Other symptoms include chest pain, shortness of breath, dizziness and fatigue. 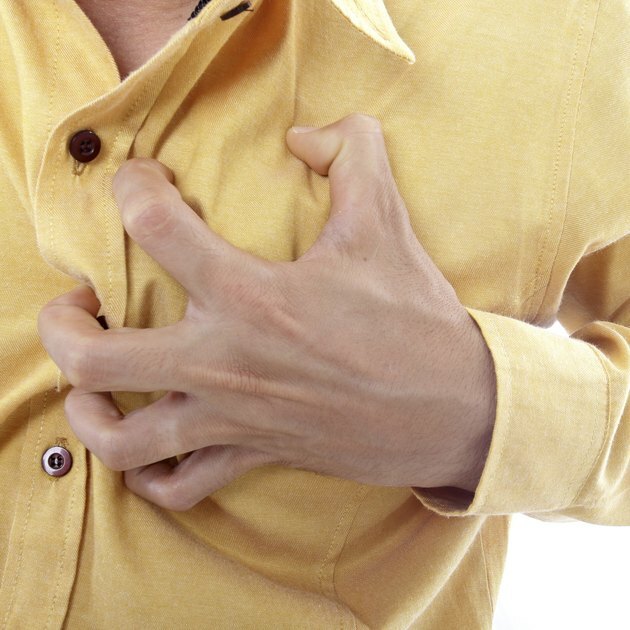 These symptoms are caused by pericardial effusion, or excess fluid around the heart. Device migration was more common with earlier, heavier pacemaker devices. Newer devices are much lighter and rarely migrate.